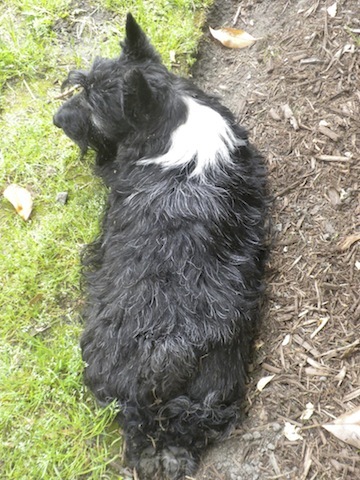 Image | This entry was posted in The Scottie Chronicles and tagged dogs, dogs pets Scotties Scottish Terriers, Scottie Chronicles, Scotties. Bookmark the permalink. You’re out in the yard resting after walking around looking for signs of daffodils and crocus because you can’t wait for Spring! Enjoy your sunny Sunday, Stuart! What happened to your haircut?